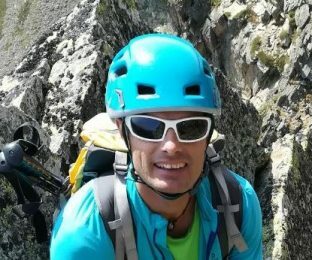 Patrick, UIMLA certified mountain guide, takes you to two of the most impressive peaks in Andorra. 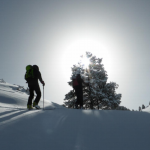 Join him for an exciting ski touring adventure! 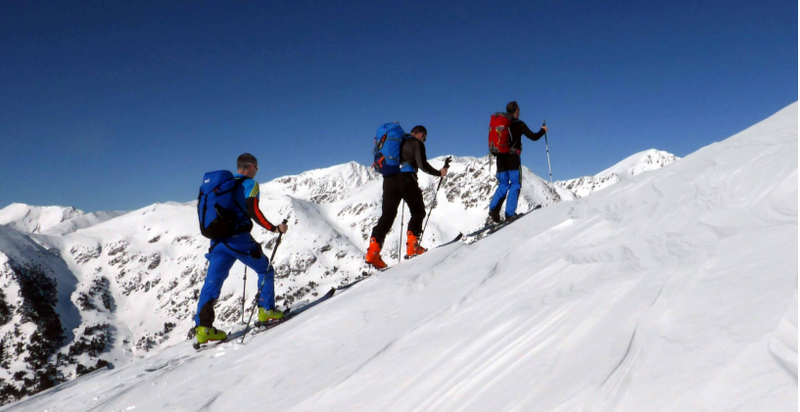 Experience a challenging ski touring outing with an expert. 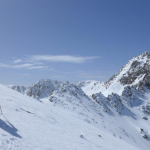 Explore the powder slopes of Pic Alt del Cubil and Pic d’Ensagents. 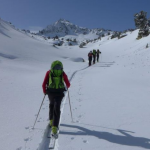 Are you looking for an exciting winter adventure in the Pyrenees? 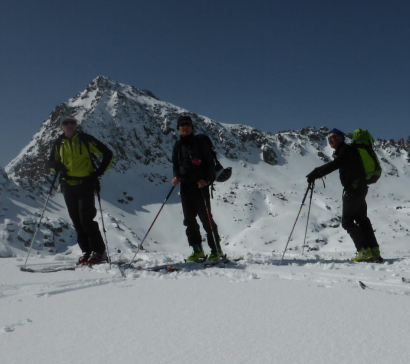 Then join me for this ski touring outing in Andorra. 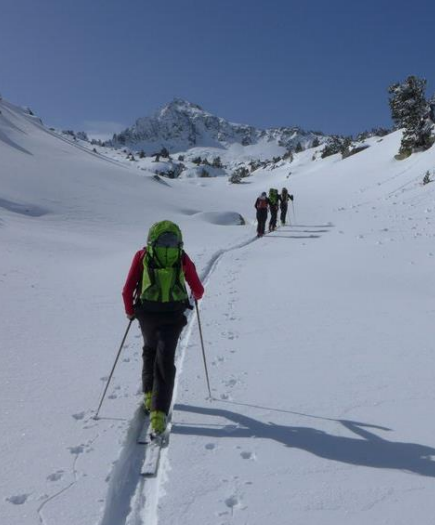 Let’s explore the powder slopes of Pic Alt del Cubil and Pic d’Ensagents! Andorra is a small country in the heart of the Pyrenees, bordered by France and Spain. Due to its high elevation and its rugged mountains, this microstate is a perfect point for skiing tours. This is your chance to discover two of its most popular peaks and enjoy an unforgettable experience! Pic Alt del Cubil (2834m) and Pic d’Ensagents (2857m) dominate the Circ de Pessons, a unique spot of the Andorran Pyrenees. We will ascend from Cortals d’Encamp through the Meligar of Emportona and enjoy a fabulous 12km route! 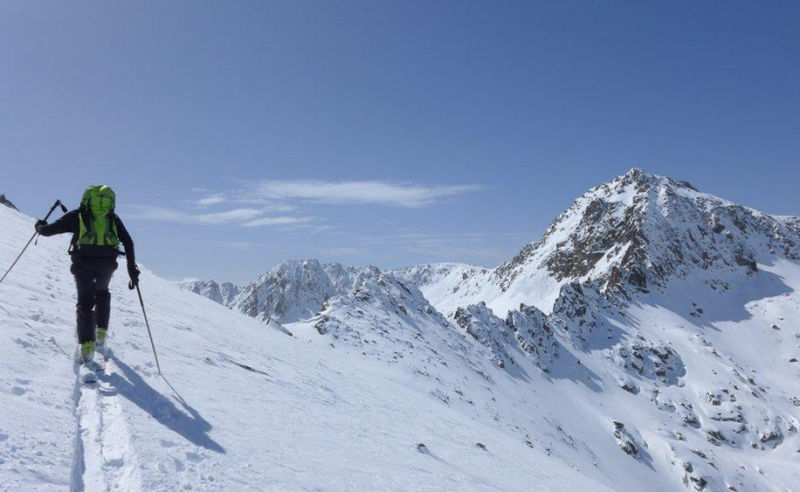 Keep in mind that we will cross some steep slopes, so you need to be able to ski in all types of terrains . Furthermore, for the ascent you should have a good fitness level. 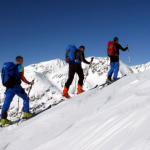 Are you ready for a challenging ski touring adventure? Then get in touch with me! 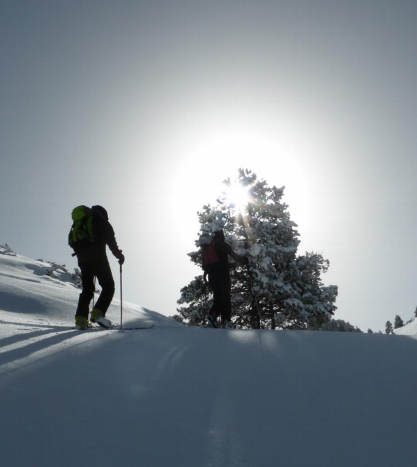 Let’s go for an amazing winter outing in two majestic peaks of Andorra! I can also take you Pic del Forn, another popular mountain in the area. Check it out here.